Why are humans so bad at making good decisions? How can we nudge ourselves to do better? Why Do We Choose the Way We Do? What Role Does Irrationality Play in Human Behavior? How can we break bad habits and stick to tough goals? How do we learn self-control in an age of distraction? An expert in big data and behavioral economics, Katherine Milkman studies the ways we deviate from optimal choices—and how human decision-making can be improved. In her engaging talks, she offers accessible insights into how we can encourage good choices: in ourselves, our customers, and our employees. 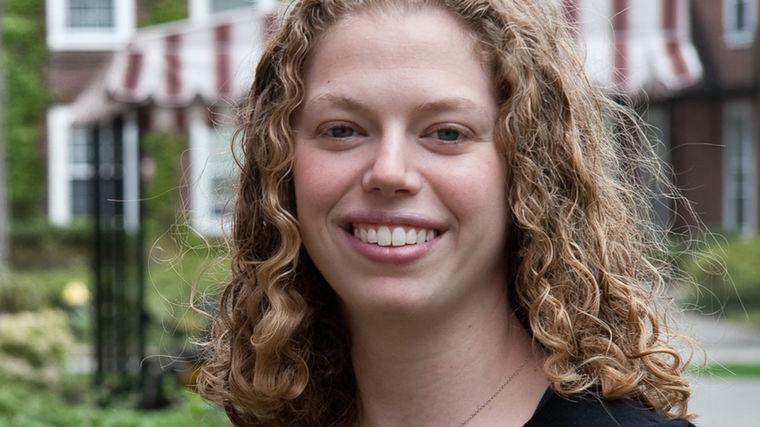 Katherine Milkman is working to make good habits stick. A tenured professor at The Wharton School at the University of Pennsylvania, her work is addressing virtually every social ill that confronts humanity, all through the lens of choice, good habits, and goal-setting. Whether we want to adopt a better diet or save more money for retirement, study better for exams or keep up with exercise, it’s hard to make tough decisions. Today, Milkman is transforming behavioral change with a specific, revolutionary project. In collaboration with fellow U Penn faculty member (and Lavin speaker) Angela Duckworth, she’s spearheading the Penn-Wharton Behavior Change for Good initiative. Together, they’re working on making good but difficult decisions both rewarding and easier to make. Milkman is also host of the fascinating podcast Choiceology, in which she explores the human lessons of behavioral economics, exposing the psychological traps that lead to expensive mistakes. Milkman holds the Evan C Thompson Endowed Term Chair for Excellence in Teaching, as well as a secondary appointment at UPenn’s Perelman School of Medicine. She is the recipient of an early career award from the Federation of Associations in Behavioral & Brain Sciences, and has published dozens of articles in social science journals that have reached a wide audience through op-eds in The New York Times and regular coverage in and contributions to such outlets as NPR, The Financial Times, The Washington Post, The Atlantic, Harvard Business Review, and Forbes. Her work was also the focus of an entertaining Freakonomics podcast entitled, “When Willpower Isn’t Enough.” Milkman has received multiple excellence in teaching awards at Wharton, and was voted Wharton’s “Iron Prof” in 2013 by the school’s MBA students. She has worked with numerous companies on research and/or consulting, including the American Red Cross and Google. She holds a B.S.E. in Operations Research & Financial Engineering from Princeton University and a Ph.D. in Information, Technology & Management from Harvard University’s Business School. Employee and customer choices are heavily dependent on context. Katherine Milkman, an expert in the ways we consider options and make decisions, understands this from her extensive research studying these populations as a behavioral economist. ‘Choice architecture,’ or simply the way in which a choice is presented (on screens and in person) can thus be an extremely valuable tool for improving employee outcomes and consumer choices. In this informative keynote, Milkman teaches audiences how to make use of the malleability in how choices are made to influence behavior for the better, providing insights about how to encourage improved decisions—online, at work, and at home. Covering the basics of wise choice architecture, nudges that have been proven to increase the likelihood of optimal decisions, and actionable takeaways tailored for your business or organization, Milkman leads a funny, fast-paced, and practical talk about how we can guide employee and customer behavior in the most helpful ways possible. In a perfect world, people would always make perfect decisions. But we’re far from perfect: biases, irrational assumptions, and other overriding impulses make our decision-making processes fraught at best. Over the past 30 years, psychologists and economists have joined forces to study how people process information and actually make decisions, rather than how people would make decisions if they were fully rational and without bias. This research program—dubbed behavioral economics—has given us a deeper understanding of how decisions deviate from optimal choices, as well as the (sometimes grave!) consequences of such deviations. Put plainly, people are poor intuitive statisticians, and that means when they ‘just think’ about situations in which some data or casual observations exist, they tend to make serious inferential errors—and systematically biased decisions. Throughout this engaging keynote, Katherine Milkman discusses the most common errors we make, with particularly important implications for managerial and workplace settings. Using evidence-based examples, she introduces a number of common decision biases that influence managers, employees and consumers alike. She can then discuss the best research-based strategies we can use to avoid these biases. With her guidance, we can improve our awareness of situations where business biases are likely to arise, and thereby improve the quality of the decisions we make.